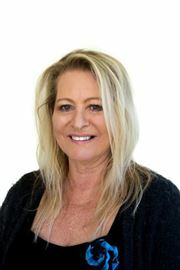 Cathy Willis has over 25 years of successful experience in Real Estate Sales and Management and has bought this knowledge and experience to the Team at Harcourts in Bridgetown. From early years of growing up in the Adelaide Hills “A Country Girl” at heart , Cathy together with her husband moved from the Northern Coastal Suburbs of Perth in 2008 to an idyllic country small acreage and after a brief career change to banking returned to what she knows and enjoys. Cathy’s success and ongoing referral from her clients since commencing real estate sales in Bridgetown is testament to her hard work, availability, integrity, and professionalism. 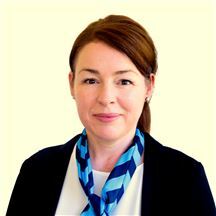 Cathy is committed to always working in the clients best interests and believes that country selling is different- the product/property knowledge is important but it is vital to love and know what the town and community has to offer. “To sell a home we are also selling a lifestyle”. Sue left the UK in the early eighties with her 2 young sons and husband to chase the sun and to give her young family a better life style. Her working life has been diverse, working with large companies and running her own businesses. Her first foray into small business was a commercial food company that Sue started in the late eighties. After 4 years Sue sold the successful business. She then started up an advertising agency that she describes as being great fun but very challenging! A Diploma in Business Management resulted in a long career in Operational Management, working for a Facility Management Company maintaining schools, shopping centres and hospitals, this job involved the management of 400 staff. In her position as Senior Operations Manager she won several Customer Service Awards for the company. In 2004 Sue made the tree change to Bridgetown and has never looked back. During her time in Bridgetown she has worked in a HR capacity for the Education Department and HR for a large mining company. She has also worked part time in many of the shops in town. 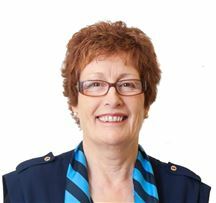 In 2006 Sue proved her dedication to the community by being elected to the Local Government Shire Council. She maintained this position and gave a voice to the community for 6 years. In her spare time she likes traveling, renovating her character home, sailing and gardening. Several years ago Sue traveled to South America as a volunteer, building houses for earthquake victims. Volunteering and being involved in the community is a passion of Sues, and one that she dedicates a lot of her spare time to. Her love of people, property and the local community have provided a great foundation for her successful Real Estate career. 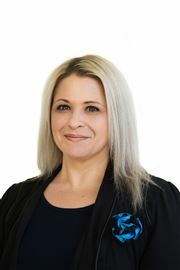 With her excellent work ethic, honesty, boundless energy and great sense of humour, the team at Harcourts Bridgetown is looking forward to a great relationship that will benefit our existing and future clients. Yolande Wendt has the kind of personality and customer service career background every real estate seller is looking for - motivation, a vibrant nature, excellent work ethic and strong local knowledge. Having grown up in the country, it was an inevitable return six years ago when her small family decided that Bridgetown was going to be the place they call home. Being a successful tree changer herself, Yolande loves nothing more than helping those who are thinking of doing the same or those already established in the area looking for something different. Driven by a genuine desire to help people, she approaches every situation with warmth, compassion, and abundant enthusiasm. Yolande maintains open communication and believes developing relationships founded on trust and respect is the key to her success, using effective marketing tools and providing exceptional follow up and communication. All the Extras & Views Too!! Very Special "Home & Gardens"
Must Be Sold! Make An Offer!